GRAND JUNCTION, CO (June 14, 2016) Kannah Creek Brewing Company announces partnership with Many Rivers Brewing Company to contract brew at Kannah Creek’s production facility located at 905 Struthers Avenue Grand Junction, CO. Many Rivers Brewing Company is a Colorado public benefit corporation giving all beer sales’ profits to organizations who work to improve rivers. Tim Carlson, Many Rivers’ President has worked over the past 15 years with watershed groups throughout the West and is the driving force behind this venture. Kannah Creek’s brewers will work with Many Rivers to develop their flagship amber ale recipe. This beer will be brewed in 60 barrel batches approximately every four to five weeks totaling 600 barrels for the first year. 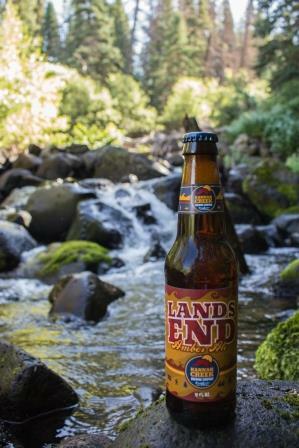 Many Rivers will offer this flagship beer for the first year throughout Colorado with eventual expansion into other markets such as Arizona. Many Rivers Brewing is currently applying for state and federal liquor licenses, which take approximately three months to secure. Once these liquor licenses are granted brewing can begin with the first batch anticipated for early fall.